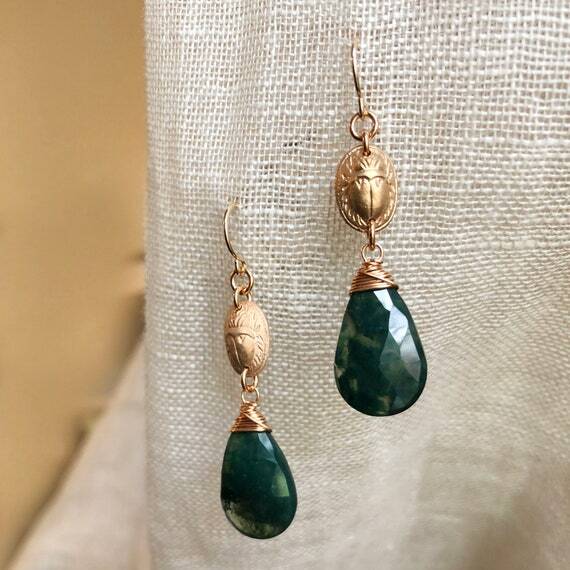 These earrings feature our original hand-formed bronze scarab component and two beautiful large faceted mossy agate gemstones. 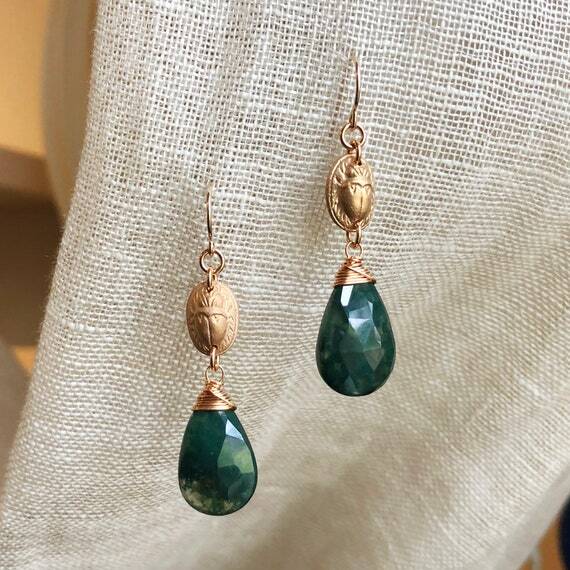 The mossy agate gemstone looks as if green moss has grown into clear crystal quartz-beautiful and natural looking. 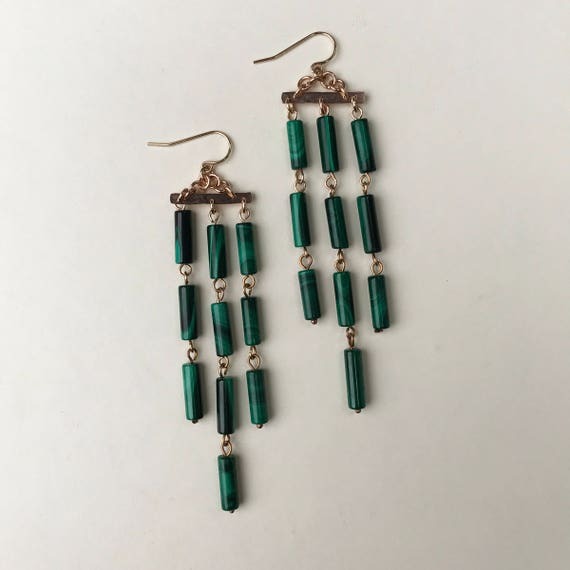 1.5" long; 14k gold filled ear wires.